Services Provided: Therapeutic Foster care for children with special needs. No Spanish language services available. Services Provided: Berkshire Farm Center is a state wide agency providing foster homes for children in care. 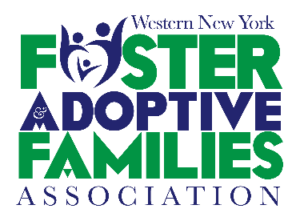 Prospective foster parents receive comprehensive training and support through out the certification process. Once certified our homes are supported by an assigned social worker, 24 hour emergency services, financial support to meet the chil(ren)’s needs. Children range in age and special need requirements. Victoria is foster care contact for western and central region counties. 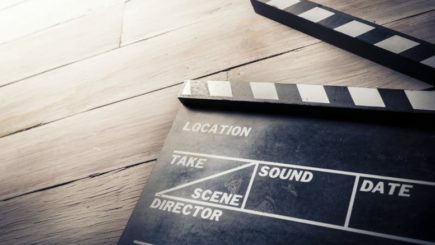 See website for more information. Services Provided: 30 hour, ten week GPS/MAPP II pre-service offered 4-6 times per year. 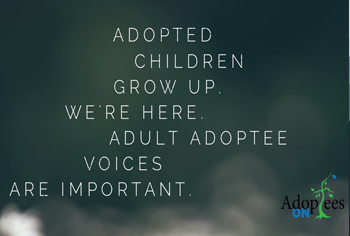 Citical need for families willing to accept adolescents (ages 11 years and older), sibling groups (various ages), and medically fragile infants.Active Foster/Adoptive Parents Advisory Board, monthly Foster/Adoptive Parent Support Group meetings. Information meetings held bi-weekly, alternating morning (10 am – 12 noon) and evening hours(6 pm – 8 pm). Will work with family to adjust meeting and training schedules to accomodate family needs. Placement priority for waiting children for agency certified families. See our website for further information. Services Provided: The G.A. 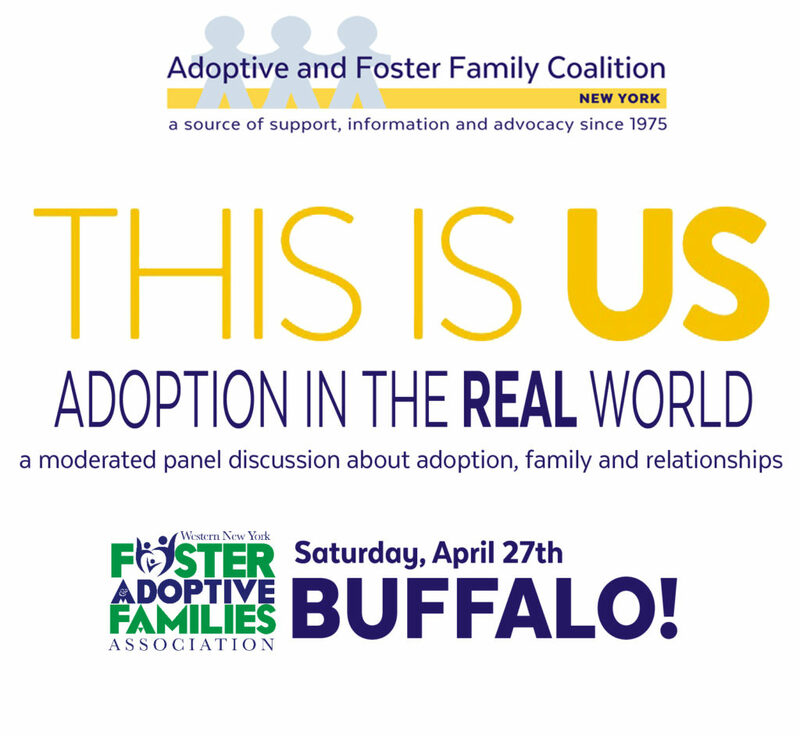 Family Services Foster Care program serves youth and families throughout Western New York. On-going support and training are the hallmark of the program, which ensures the successful completion of all requirements to become a certified foster parent. G.A.’s Foster Care Program offers therapeutic and traditional foster care programs, utilizing a team approach that supports foster parents throughout their fostering experience. Parents are needed to care for teenagers and children affected by trauma. See website for program brochure and satellite office contacts. 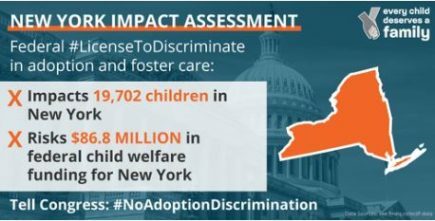 Services Provided: Multi-service agency based in Rochester, NY providing long-term and short term therapeutic foster care services in 20 NYS counties. Contact # for Buffalo Metro and Erie County. Pre-certification training and home study takes 3-6 months. Emphasis placed on working with birth families. Foster families receive weekly visits from FP support team, 24 hour on-call support and respite services. Also provides infant, international, and special needs adoptions services. Services Provided: Erie County Office of multi-state agency providing community-based foster care program serving children from infancy to age 21. Also provides therapeutic foster care services. See website for NYS fact sheet and online contact form. Services Provided: Sarah Minnie Badger Foster Care Agency provides foster boarding homes to children referred from Erie County Department of Social Services. Our mission and goal is to place children in safe, appropriate, and professional foster homes. In order to ensure children are placed in appropriate homes, we have homefinders who meet with potential foster parents to introduce them to our agency, the certification process, and what are the expectations of foster parents. All foster parents must complete a 30 hour GPS II/MAPP course before they are certified. Once this process is complete and all other necessary paperwork has been reviewed and cleared, then a foster parent can foster a child in his/her/family home. See website for application criteria and online form for families interested in fostering. Services Provided: Multi Service agency providing services to meet the individual and/or family needs of the off-reservation Native American community in Erie and Niagara Counties. Service components include Youth Services, Family Services, Health and Wellness, Economic Self-Sufficiency, and Community Support Services. The foster care program actively recruits Native American foster parents to meet the needs of Native American children in our community, but serves children and families of all races and ethnicities. Services Provided: Provides a temporary, supportive environment for children who either have no family resources, or who for a variety of reasons, cannot live with their birth families. During their time with us, we identify and prepare a permanent home for children freed for adoption or help birth families heal and develop a safe, nurturing environment to which their children can return. Provide therapeutic and regular foster care services. As a foster parent, you have a uniquely rewarding opportunity to support a child in need of nurturing, love, guidance and compassion and may also help to reunify a family experiencing a difficult time. The steps to become a foster parent include: Calling the intake coordinator for additional information, schedule a personal meeting with the coordinator to review your introductory information, complete the MAPP/GPS II training, and participate in the matching process as referrals are made to the program to find the most appropriate child for your home.